Silence and solitude are the two spiritual disciplines that seem to be most lacking in our digital world. It is ironic that what our soul longs for is silence and solitude, but instead we fill our lives with noise and activity to pack the void. And writers especially need some quiet time to regroup and to rest. It can be hard to rest when we are always plugged in. So, we need to cultivate times when we are resting and alone doing something that we truly enjoy that we know will renew us. 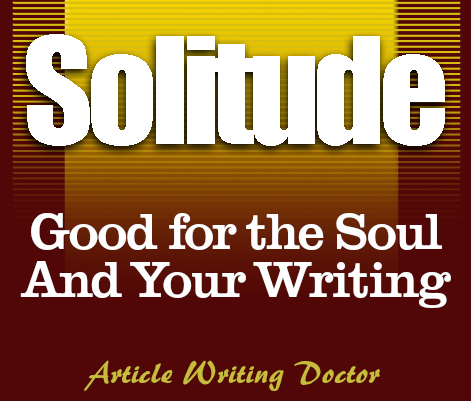 The silence that is required for solitude has gotten a bad rap. Most of us hate silence. But it is in the silence that we can find renewal and fulfillment, and we could be ready to face whatever else we have to face every day. Silence is about letting go of our inner distractions and is probably the most challenging and least experienced spiritual discipline among most of us today. Studies show the average person today can only bear about fifteen seconds of silence. Each of us needs to make the opportunity to be alone and silent to find some space in the day to reflect, and to listen to our inner voice within us. 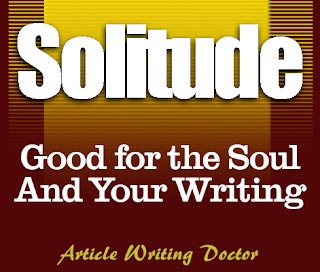 Solitude is about letting go of your outer distractions. It is in solitude that we nourish our relationship with ourselves. • Turn off the radio when you are driving. • Keep the television off when you’re not watching it. • Practice listening more to others and speaking less yourself. • Resist the urge to text and post every experience. Hold the experience to yourself for a while. • Don’t use your phone as an alarm clock – make a “no phones go to bed with me” rule. • Listen for the sounds of nature whenever you can. • Try to keep one ear tuned to your inner voice throughout your noisy day. So, go ahead and take time to find space to be alone and silent each day. Don’t let the digital world drown out the sound of your voice speaking to you. To really live life to the fullest we must not let the digital world distract us from being who we truly are. 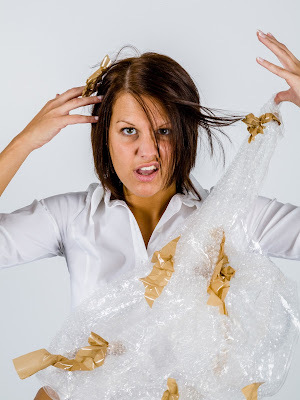 We need to take control of our lives by setting clear boundaries. Embrace this one life that we were given by learning to say “no” more to your digital world and say “yes” to the importance of soul care for yourself and your family. And tomorrow, you will probably do your best writing too. It is a win-win for everyone. Irene S. Roth, MA writes for teens, tweens, and kids about self-empowerment. She is the author of over thirty-five books and over five hundred online articles. She also writes articles for kids, tweens and teens and her articles have appeared in Encounter, Pockets, Guardian Angel Kids Ezine, and Stories for Children Magazine and Online. She also has four hundred and sixty published book reviews both online and in print. Irene, I liked this one: "Resist the urge to text and post every experience. Hold the experience to yourself for a while"
Irene, great advice. It's hard to find that solitude in today's crazy non-stop world. These tips will definitely help!